Do you yearn to change the ranking of your website on Google? Then the first thing that you should do is focus on the SEO of the website. But have you ever thought what the updates of the Google algorithm are all about? Google has released many updates in the last few years which had been designed to enhance the quality of the results that they have served for the user. 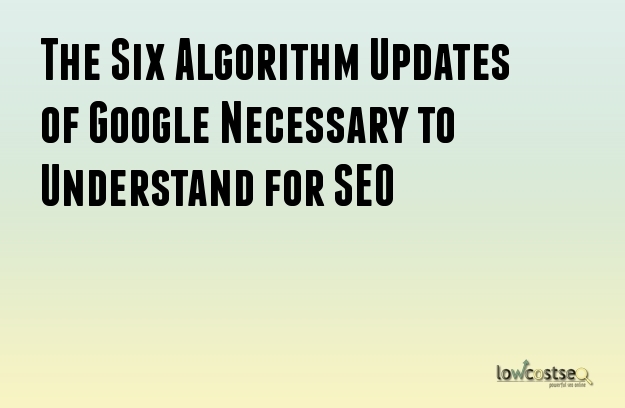 Given below are the different updates of the Google algorithm. Panda 2011: The first iteration appeared in the year 2011. This update was made to target the contents that were thin, had high-ad-to content ratio and many other such content problems. It has been reported to have affected about 12% of the search. Penguin 2012: This update that came up in the year 2012 was basically targeting a series of different spam factor. After the release of the penguin update there been an impact of 3.15 of English language. This update also targeted the practices like the link networks, purchase of the links, the keyword stuffing issue and many other techniques of over-optimization. Hummingbird 2013: This is an update with extremely improved lexicon. This altered the way in which Google manages the decrease in the importance of the density of the keywords and moving towards a more natural one, latent semantic indexing and also a search that is speech oriented. The speech oriented search showed that Google believed that something like a mobile was coming up in the future. As there would be an increase in the mobile search and also the conversational search then this is most likely to be the subject for the update in the years to come. Pigeon 2014: This update caused great stir in the SEO. This is because it altered the manner in which Google used to deal with the local search. This also improved the location and the distance of the ranking parameter. As a matter of fact it the traditional ranking factor became more considerable when it came to the local search. Local search will become more important with mobile turning out to be the home of the internet. Mobilegeddon 2015: This is one of the rare updates of Google algorithm. This had been announced in advance and it sent the whole SEO industry into a kind of paroxysms. The reason was that they started planning for an update that did not have much of an impact like they had thought it would have. This update again acknowledged the importance that the new platform had. RankBrain 2015: This update had too much of a hyperbole in press. This update greatly improved the ability of Google in the latent semantic indexing. It also improved the ability to revert to the results that are pertinent for all those queries that have never been entered before. Phantom: This is not a full scale update. The name has been given by tow ranking shift one in the year 2013 and another in the year 2015. Many sites is said to have lost many unexplained loss of traffic. Google has mentioned that this update will be centered on them but there has been no confirmation about the sighting of Phantom.